The professional decorators tape. No bleed through and can be left on for 14 days. Safe to use on delicate surfaces, including most wallpaper. 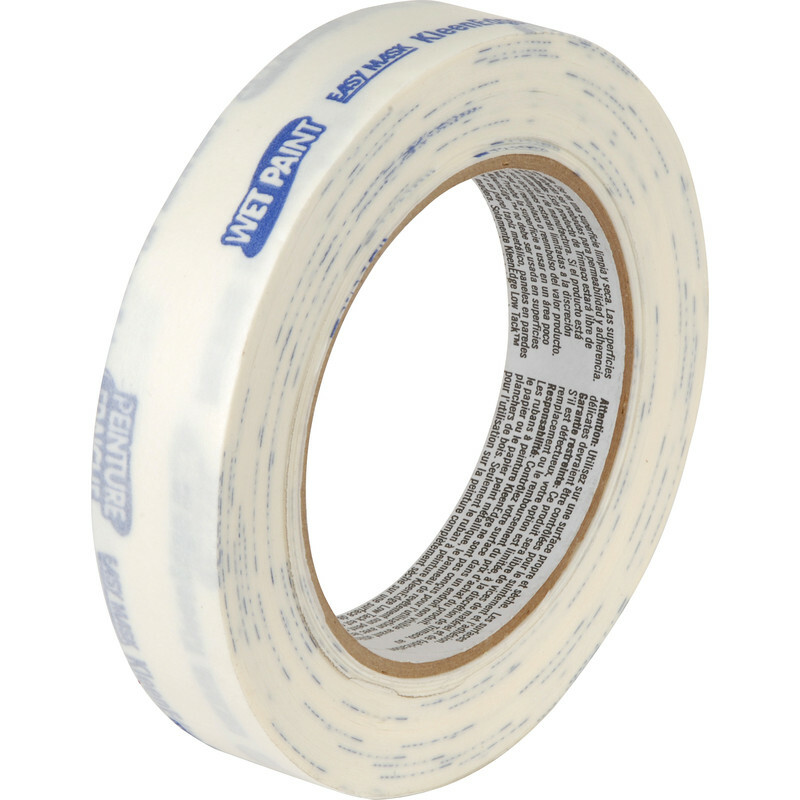 Kleenedge 14 Day Low Tack Masking Tape 25mm x 50m is rated 4.0 out of 5 by 23. Rated 1 out of 5 by Shaun 72 from No better than the cheap stuff Not only did it not prevent bleed it also removed some paint from the applied surfaces. It removed some several years old gloss and also some emulsion that was only a few weeks old. No better than the cheap stuff. Rated 1 out of 5 by dmacjat from MR Hard to get off and didn't leave a good line. Rated 5 out of 5 by Bmreader from Good masking tape Now my favourite masking tape, leaves clean edges, does not leave residue and pretty good at not lifting existing paint. Rated 1 out of 5 by Painter123 from Poor adhesion not as good as traditional masking t Tried this tape instead of the usual masking tape but very disappointed. Low tack means no tack in this case. Expensive and not good. Rated 5 out of 5 by JohnM39 from Good product Bought this product just over a week ago. Used it continuously since. Much better than cheaper alternatives.